Here is my first moon shot from 7th Jan 2014. 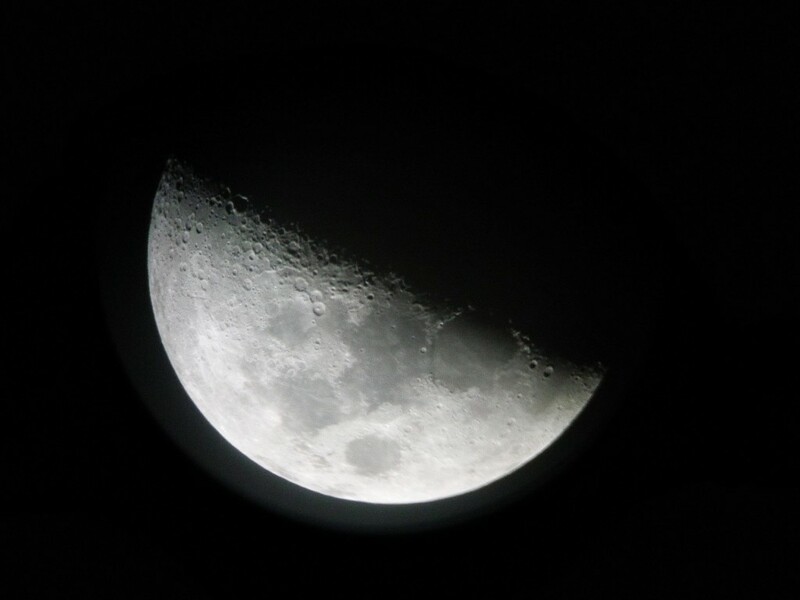 Also done with the Casio Exilim EX-FC100 directly at the ocular. Dieser Beitrag wurde am 16. Januar 2014 von Goddchen in Astronomy, Moon, Solar System veröffentlicht. Schlagworte: astronomy, astrophotography, moon, telescope.